Witness exciting IMAX movies and explore the various space exhibitions all around! 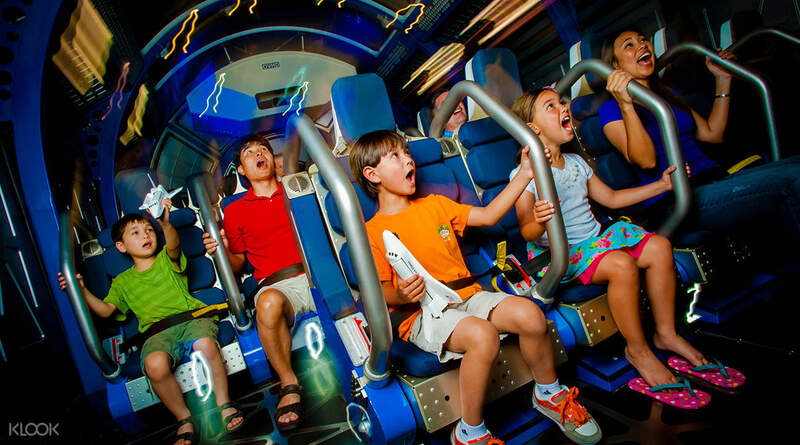 Hop on a bus to Rocket Launching Center and even get a chance to see a rocket launch simulation! The bus tour was entertaining. It was interesting to see the ‘live’ launchpad and the ‘VAB’. Fun to be able to see the Space X Dragon in the NASA Now as well. 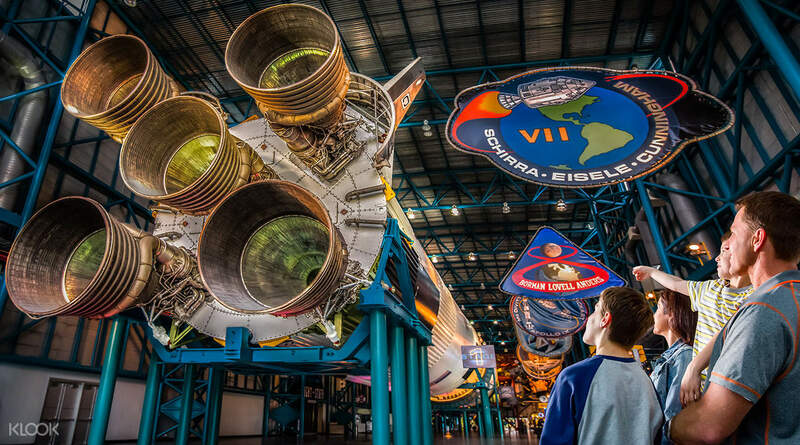 Enter the world of aerospace in the hallowed halls of the Kennedy Space Center Visitor Complex. 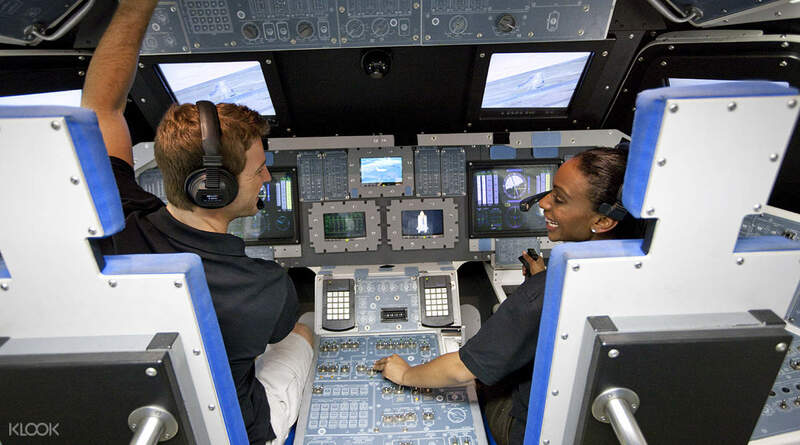 Fulfill your dreams of being an astronaut for a day as you explore and encounter aerospace technology and numerous exhibits about space. The Kennedy Space Center is NASA’s most important base in the United States, and many historical events in the world of space travel has taken place here. 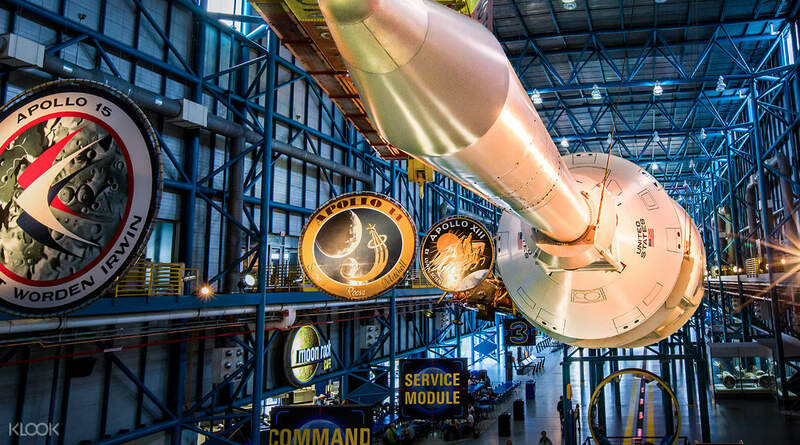 You’ll have the chance all about the history of the center and of NASA’s huge leaps in advancement through the years. You’ll also be able to see exciting movies in the IMAX center, and even get the chance to see a rocket launching simulation from the Rocket Launching Center. Don’t miss out on this opportunity to get as close to the final frontier as you can. See mindblowing exhibits on aerospace! Experience simulations and amazing activities about outer space! 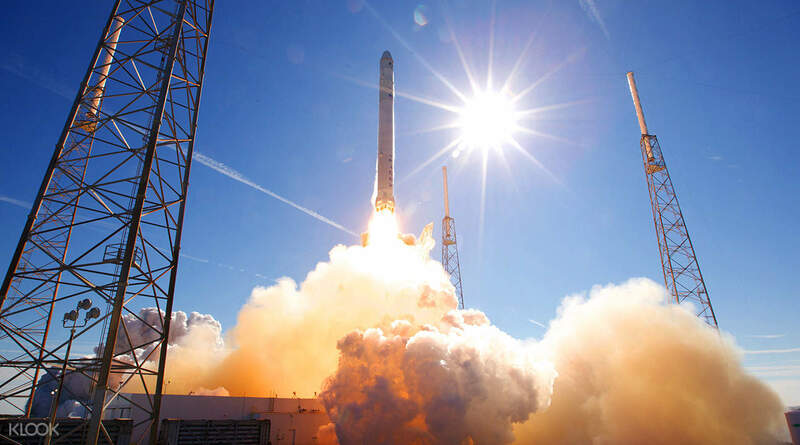 Head out to the Rocket Launching Center and watch a simulation of a rocket launch! Got in with just the eticket without issues. And the trip was so worth it! You need more than 1 day though to visit all the attractions. Just get there early like 7am so you can maximize your day. Gotta go back with the kids some day. Got in with just the eticket without issues. And the trip was so worth it! You need more than 1 day though to visit all the attractions. Just get there early like 7am so you can maximize your day. Gotta go back with the kids some day. Nothing can beat this experience of greatest human endeavour. Nothing can beat this experience of greatest human endeavour. A very informative and educational day at the space centre. One can really spend an entire day there. However, upon presenting the e-tickets (received from klook via email) at the entrance to the park, we were redirected to the customer service for issuance of new tickets, which took about 10mins to sort the process out. A very informative and educational day at the space centre. One can really spend an entire day there. However, upon presenting the e-tickets (received from klook via email) at the entrance to the park, we were redirected to the customer service for issuance of new tickets, which took about 10mins to sort the process out. This is a must activity when you visit Florida. The best part is the bus tour of the launch pads, etc, that ended at Atlantis. You just have to present a printed or mobile voucher to redeem the activity. This is a must activity when you visit Florida. The best part is the bus tour of the launch pads, etc, that ended at Atlantis. You just have to present a printed or mobile voucher to redeem the activity. The bus tour was entertaining. It was interesting to see the ‘live’ launchpad and the ‘VAB’. Fun to be able to see the Space X Dragon in the NASA Now as well. The bus tour was entertaining. It was interesting to see the ‘live’ launchpad and the ‘VAB’. Fun to be able to see the Space X Dragon in the NASA Now as well. Excellent place for a visit and a very easy booking with Klook. Just be at the gates early since you need the entire day (if not two) to see everything. There are many live talks and guided presentations that are not at all boring - the guides do an excellent job. Don’t miss the buss tour as it is the only way to touch the moon! On the way look around for gators, turtles and birds. Overall great day (though smaller kids may get bored eventually). Excellent place for a visit and a very easy booking with Klook. Just be at the gates early since you need the entire day (if not two) to see everything. There are many live talks and guided presentations that are not at all boring - the guides do an excellent job. Don’t miss the buss tour as it is the only way to touch the moon! On the way look around for gators, turtles and birds. Overall great day (though smaller kids may get bored eventually). the place is awesome! I love how interactive the park is. Hope we can spend time more in the park. It was a nice experience. the place is awesome! I love how interactive the park is. Hope we can spend time more in the park. It was a nice experience. This was a fun science-filled trip for young adults and up and definitely worth your money than going to a regular ordinary science museum! This was a fun science-filled trip for young adults and up and definitely worth your money than going to a regular ordinary science museum!